Tinnitus (from the Latin word which means ringing) is a condition that affects around one tenth of the population at any given time. The condition can be experienced by people of all ages and is often described as a whistling, buzzing, ringing or humming sound that can be heard either in the ears or in the head. The exact nature of what causes Tinnitus is unknown but what is known is that the condition is normally generated inside an individual's auditory canal. Fibromyalgia - just like M.E (Myalgic Encephalomyelitis) - has a variety of different symptoms that can vary from individual to individual. With both conditions individuals have reported suffering from Tinnitus which leaves them feeling disorientated, unable to sleep or suffering from stress and/or anxiety. Tinnitus is not - as many people have previously thought - solely experienced by the elderly and can be experience by anyone of any age. Indeed in Fibromyalgia and M.E (Myalgic Encephalomyelitis) sufferers the age at which the sufferer can contract their condition can vary greatly. The first and most important thing to do is consult with your doctor; he or she will firstly check you over for signs of any other medical condition that might have lead to the onslaught of Tinnitus. It should be said however that Tinnitus does not always show itself to be a symptom of another condition and can simply begin of its own accord. Your doctor will also look at what medications you have been prescribed although it should be noted that a very small number of medications can have Tinnitus as a side effect. 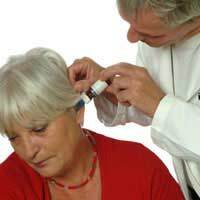 There is no particular cure for Tinnitus although there are homeopathic remedies which claim to relieve the condition somewhat. Again this is something that you discuss with your doctor before embarking on any course of homeopathic medicines. Your doctor may prescribe a mild course of anti-depressants or anticonvulsant to help try and alleviate the condition. This may or may not work depending on the individual but it is certainly worth a try if your doctor suggests it. He or she may also suggest counselling as Tinnitus is sometimes related to stress and anxiety which are of course two common symptoms of both Fibromyalgia and M.E (Myalgic Encephalomyelitis). Try listening to soft music before bedtime; this has been known to help alleviate the effects of Tinnitus in sufferers and also to help them sleep. It is difficult of course to eradicate the sound of Tinnitus and your doctor may suggest that you seek the assistance of a counsellor or therapist who will try what is known as Cognitive Behaviour Therapy. Cognitive Behaviour Therapy is used as a means of distracting the brain from the sounds of Tinnitus and diverting your attentions elsewhere. It is worth noting finally that Tinnitus can disappear as suddenly as it can appear and may never return. But whatever the circumstances of the condition if you happen to fall foul of it you should consult with your GP as soon as possible. You could also join a support group or contact one of the many groups which are available to help sufferers of the condition. One such group is the British Tinnitus Association; you can find more information on the British Tinnitus Association at their website, the address of which is www.tinnitus.org.uk.